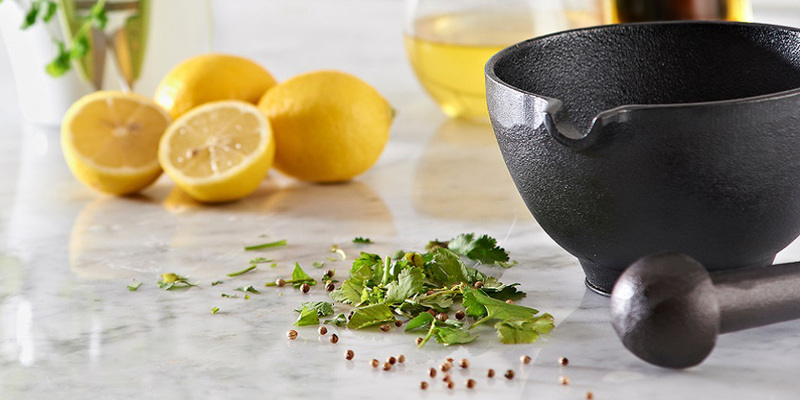 These instructions are how to clean and care for a Typhoon Cast Iron Pestle and Mortar. Wash with hot soapy water, rinse and dry. Once dry apply a light coat of vegetable oil to maintain performance. If your pestle and mortar has started to retain the smells and stains of strong spices, try pouring some dry white rice into the mortar and use the pestle to grind it to a fine powder. Discard the rice and repeat the process as necessary.